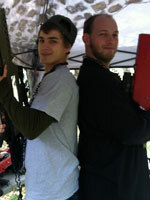 About Outdoor Laser Tag, USA - Leading provider of Mobile Laser Tag for Birthday Parties, Camps and Corporate Events! LIVE. DIE. REPEAT! We Bring the Fun-Filled Action to You! 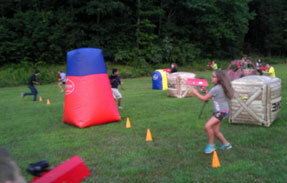 We brought Outdoor Laser Tag to the Tri-state area in 2004 as a new special event for campers at Black Bear Lake Day Camp. 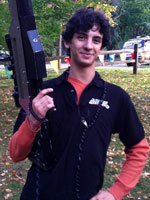 Today, we are the largest and longest running operator of a Mobile Laser Tag entertainment business in the Tri-State area, delivering a unique event for other camps, colleges, birthdays, Bar/Bat Mitzvahs, corporate off-sites and Town Fairs/Festivals. 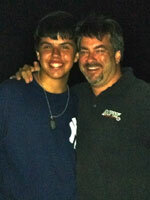 We operate out of Westchester County, NY and are the leading provider serving the Tri-state area and New England. Our unique and advanced version of laser tag is played by over 25,000 players every year from ages 7-77. Events range from 10 - 700 players, lasting from 1 1/2 hour to all day/all night. 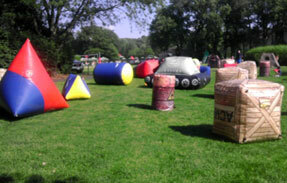 Outdoor Laser Tag always delivers a unique blend of adrenaline-pumping fun, excitement and memories that can be played anywhere at anytime! If you are looking for an all-inclusive, unique, fun activity that delivers an action-packed, adrenaline-pumping gaming experience, Outdoor Laser Tag is the perfect activity for your next special occasion. Players enjoy living out their action hero fantasies as they "LIVE THE GAME". Since we are a 100% mobile operation, we will bring all of the necessary equipment and staffing to your home, camp, local park, corporate offsite, town fair, school or college so that you can play any time of day and anywhere you choose. We can also set up indoors when necessary and will bring special lighting. Players have told us that "I felt like a star in my own video game" and "your lasers are different and cool, not like the toy lasers and vests we used indoors" and "I wish I could play every day with my friends" and "I will never play inside again". 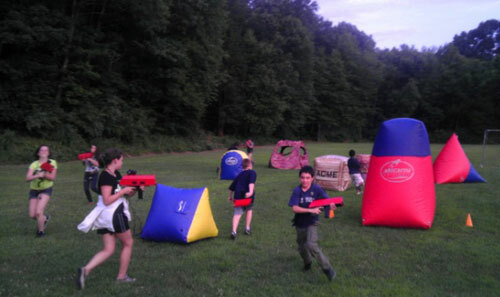 Campers look forward to Outdoor Laser Tag because it is a unique addition to traditional camp programming that everyone can play. 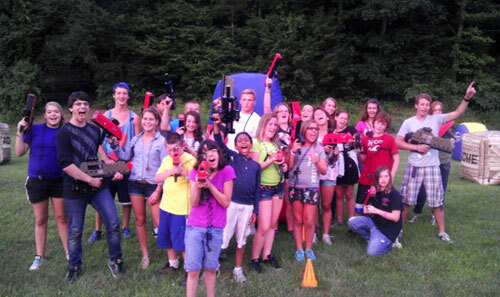 ACA campers often vote Outdoor Laser Tag as the #1 special event at their camp. We use the most expensive, futuristic-looking equipment and technology from Battlefield Sports, Inc., adapted from military combat simulation training using sophisticated infrared technologies. 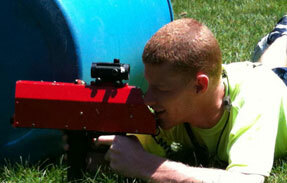 Our player-tested tough equipment, combined with camouflage tents and our premium inflatable obstacles from Mighty Paintball, creates a unique mission field that makes us the leading provider of mobile Outdoor Laser Tag in the Tri-State area. We do not provide military simulation gaming. We choose instead to promote teamwork, exercise and outdoor recreation, not violence. Independent research studies show that Outdoor Laser Tag is not only preferred over traditional video gaming, but also helps to promote team building and learning about social interactions. 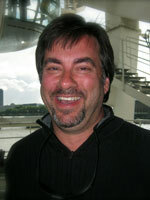 My name is Andrew Cursio. 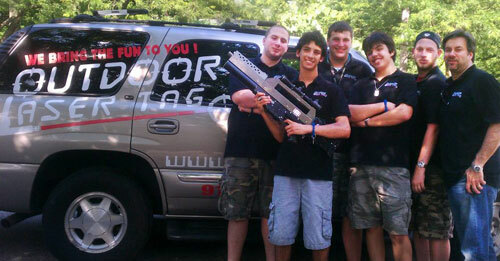 I am the owner of Outdoor Laser Tag, USA. Along with my wife Valerie, my son Matthew, my twin daughters, Sarah and Catherine and my friend and business partner, Mark Magid, Director of Black Bear Lake Day Camp in Central New Jersey, which was the birthplace of Outdoor Laser Tag, USA. As a team, we are heavily armed with advanced degrees in education, law, business management, accounting and social work and with over 100 years of business management, outdoor sports and recreational activities, education and entertainment experience. We are a small family business that takes pride in delivering a premier and memorable event, where everyone is safe and having fun. We are always on time, professional and courteous. 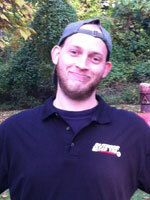 Our goal is an excellent event and excellent customer service - from start to finish. • No hand-held video controller; you use cool, hi-tech infrared gaming laser and gear. • No sitting; you play outside on a customized mission field filled with inflatable obstacles and music to pump up the fun. • You are not playing alone, you are with your friends and making new friends! Play a wide variety of Mission Games where you "LIVE THE GAME" and are the star! Premium equipment from Battlefield Sports, LLC in Australia and Mighty Paintball that combined create a unique, memorable event. Adrenaline-pumping action of paintball, but WITHOUT the bruises, pain, mess or high cost. We Bring the Fun to YOU! - your property, park, school or town. Players use an authentic Red-dot scope on their laser to tag their opponents up close or up to 400 feet away (even in bright daylight). ALL skill levels and ages from 7 - 77 can play and more importantly have fun with their friends and make new friends. It's Exertainment = Exercise + Entertainment. Adrenaline pumping, team-building fun and exercise. READY, AIM, TAG!... SATISFACTION GUARANTEED! Family Run � Safe, fun, reliable service and staff to create a stress-free event.